This year, more than 3,500 companies have been invited to participate in RobecoSAM’s Corporate Sustainability Assessment. Check out the invited universe to verify if your company is eligible and for which specific indices (DJSI World, DJSI Europe, etc.). Be sure to also check your industry classification, as this impacts your company’s questionnaire structure and peer group. The assigned industry can change if your company has had major developments in its business model or key activities. Spin-offs, mergers, IPOs or other forms of restructuring can also lead to changes in eligibility or industry classification. Take out your 2017 scorecard and analyze your results. Where are the biggest gaps? Don’t forget to take chapter weights into account, as smaller improvements for important chapters can have more impact on your total score than big steps on less significant chapters. For each gap, review last year’s answers to see which specific steps your company can take to improve your score. The DJSI Program Canvas helps you visualize the strengths and weaknesses of your sustainability strategy and understand how it connects to the DJSI criteria. The Canvas is especially useful for first-time participating companies. Use it to identify key gaps and to rank interventions based on both impact and feasibility. RobecoSAM webcasts summaries (see download section) and key takeaways of our latest DJSI Expert Training give more detail on the specific chapters of the questionnaire, covering Policy Influence, Human Rights, Impact Measurement & Valuation, Supply Chain Management, Corporate Governance, Materiality, Human Capital Development and Operational Eco-Efficiency. Based on this timeline and your internal milestones, you can set up a specific project plan. Engaging the different decision makers in your organization in order to implement the necessary steps is a crucial element in the process. An internal kickoff session with topic owners is a good way to do this. It’s a central moment to discuss the assessment’s purpose, your company’s objectives and focus areas, and how to start preparing. Every year, RobecoSAM raises the bar in order to identify best-in-class companies that outperform their peers by demonstrating sustainability best practices. This results in new or updated chapters, deleted questions or changes in assessment methods. New methodology changes to the 2018 assessment have been announced by RobecoSAM: check out our summary of the changes in the 2018 DJSI questionnaire. Sign up if you want to be the first to know about 2018 methodology changes. At Finch & Beak, we firmly believe that the outcomes of rankings and ratings are a result of the company's performance, and are not a goal in itself. The value of benchmarking is that it provides insights on where your company's sustainability approach is doing well, but also what can be improved. 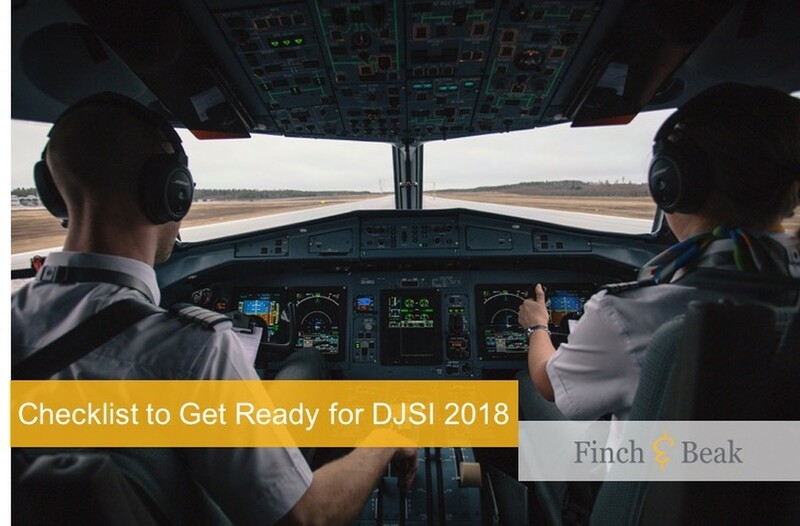 Our DJSI support is characterized by a pragmatic approach that leverages existing assets in the short term, while identifying opportunities for strategic development in the future. Whether your company is looking to participate in the assessment for the first time or to become a sector leader, contact Josée van der Hoek, Director, at josee@finchandbeak.com or call +31 6 28 02 18 80 to discuss your DJSI objectives and get a quote on our proposed approach to get you there.